Xiaomi launches a new budget smartphone called Redmi Y2 in India. It is the same Redmi S2 launched recently in China. The Redmi Y2 is the successor to last year’s Redmi Y1. The device comes in 3GB and 4GB RAM variants and is priced at Rs. 9,999 and Rs 12,999 respectively. It will be sold via Amazon.in, Mi.com, and Mi partner stores. On the design front, the new Redmi Y2 looks similar to the Redmi Note 5 Pro. It comes with a metal finish body and sports 2.5D curved glass on the front. The device comes with a 5.99-inch HD+ (1440 × 720 pixels) display with 18:9 aspect ratio. It is powered by the 64-bit Qualcomm Snapdragon 625 octa-core processor coupled with Adreno 506 GPU. While the 3GB RAM variant comes with 32GB of internal storage, the 4GB RAM variant will be offering 64GB of internal storage. There is also a dedicated MicroSD card slot for further expansion of storage. It runs on the latest Android 8.0 Oreo-based MIUI 9.5 out of the box. The company also released the latest MIUI 10 and will be soon available for this device. In the camera department, the Redmi Y2 sports 12MP + 5MP dual AI cameras on the rear and a 16MP single camera on the front for selfies. Both the front and rear cameras are accompanied by a LED flash. The portrait mode is available for both the front and rear cameras on this device. It is kept powered on by a 3,080mAh non-removable battery and support 5V/2A (10W) charging input. The Redmi S2 supports dual SIM dual standby using the triple card slot but lacks the dual VoLTE support. The device also comes with a rear-facing circular fingerprint sensor. It can also be securely unlocked using the face unlock option. Connectivity options include 4G VoLTE, Wi-Fi, Bluetooth 4.2, GPS, IR Blaster, 3.5mm audio jack, and a MicroUSB 2.0 port. It measures 160.73 × 77.26 × 8.1 mm and weighs 170 grams. The Redmi Y2 comes in Gold, Rose Gold, and Dark Grey color options. Stay tuned on Phone Radar for more details about the upcoming Xiaomi smartphones. 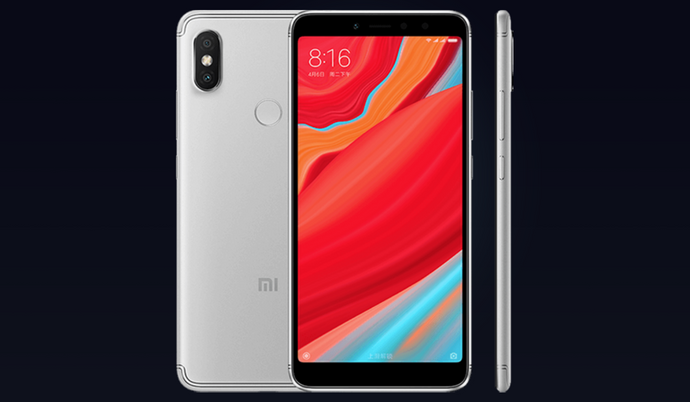 The post Xiaomi Launches Redmi Y2 with 16MP Selfie Camera, Price Starts at Rs 9,999 appeared first on PhoneRadar.